estled in an industrial zone 35 miles east of Los Angeles, Manley Laboratories builds some of the finest, and most respected, hi-end, analog equipment in the world. President, and owner, EveAnna Manley greets me with a warm smile and a firm handshake. For example, as “President” she outsources amp chassis fabrication to a metal shop within a mile. Then, has them delivered nearby to an anodizer for the final finish. Everything is assembled at the lab. EveAnna confirms, “We pretest, match, and batch many components such as tubes, pots, chokes, and caps to ensure accuracy. We hand-stuff printed circuit boards, create wiring harnesses…” the list goes on. We saunter past rows and rows of varying sizes of tubes all glowing brightly as they are subjected to the “burn in” selection process; some for hours, others for days. They are then tested for gain, noise, and internal matching. 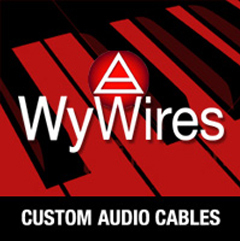 The results determine the appropriate product: amps, preamps, or microphones, etc. We are visiting Manley to talk primarily about the fact that, in such digital times, there is still great demand for their tube equipment. “Only 20% of our business is in hifi,” EveAnna acknowledges. The remaining 80% is generated by their well regarded pro recording studio gear. Jackson Browne’s GrooveMasters Studio, in Santa Monica–an early supporter of Manley pro gear–mainly uses their microphones, mic preamps, EQs, compressors, and headphone mixers. 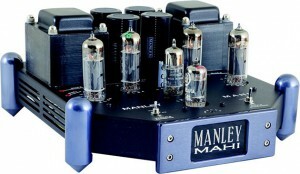 All are powered by Manley vacuum tube amplifiers. And, they’ve been driving them over twenty years! So, with a workforce of around 30, why is Manley still manufacturing tube phono stages and amplifiers for the home stereo market? “We like records.” EveAnna responds passionately. And, so do many Manley customers. Their STEELHEAD phono stage, originally released in 2001, is still in production and happily married to many turntables worldwide. With 72db of very quiet gain, it is also compatible with the lowest output cartridges. Another advantage is that the unit can connect directly to the amplifier–Manley or otherwise–and, therefore, save the extra expense of a costly pre-amp. The handy remote gives you the power to control the volume. 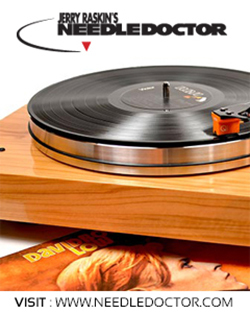 The sound of a stylus settles into the valley in the vinyl. The beefy Manley 330B mono block amps bring the instruments to life. That warmth, that is undoubtably analog, flows through me as the music melds with the room. The detail is abundantly clear as cymbals sit stationary and the “soundstage” forms in front of me. I can tell; EveAnna loves music, too. Her BA on the back burner, EveAnna was soon gainfully employed assembling equipment, helping with production organization, even attending the odd trade show and, soon…she was dating the boss. A year later she and David were married. By ’96, they weren’t. The post-nup deal allowed David to move to Paris and EveAnna to take over the company. Unfortunately, it was now broke. A determined EveAnna never doubted that she would resuscitate it. Her sturdy wooden ruler and ballpoint pen formed her first spreadsheet–computers were just coming of age back then. Soon, she was rifling through the old Rolodex and on the phone to every business card salvaged from those trade shows. Slowly, new orders rolled in; Each week, the payroll was miraculously met. Needless to say, Manley survived…and then some! Today, computers are her friend; Technology her ally. The STEELHEAD, with 12 years of upgrades, embraces the latest innovations because, “As technology improves, it makes for a more efficient product, “…and actually saves money in production,” adds EveAnna. Which brings us to the CHINOOK, Steelhead’s baby brother. It is constructed for the more price conscious consumer who wants to get into hi-end for a fraction of the cost of its illustrious big brother. The stripped down, still elegant, design offers fewer features yet, most importantly, doesn’t compromise on sonic resolution. It will rock your socks off. Another passion of EveAnna’s is photography. So, it’s no surprise to see that some of the art pics adorning the walls of the Manley offices are hers. When you think about it, it’s not such a stretch as photography and sonic imaging are closely related. 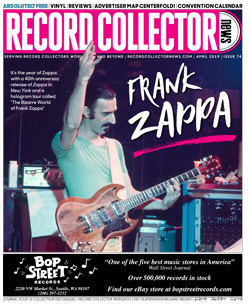 Isn’t great audio reproduction all about focusing the musical instruments just as one would a photograph? Left to right separation plus depth of field, equals soundstage. EveAnna also loves social networking and is a big fan of Facebook. “It’s an effective way of getting into people’s heads. I want Manley’s “friends” to not only know what the company is doing but about my life, too. Like riding my Harley, rather than flying, to attend industry events.” Or, combining a well-deserved vacation to ride on a rental ‘bike through Northern Vietnam after schmoozing with distributors in Hanoi–she flew there! Many have. 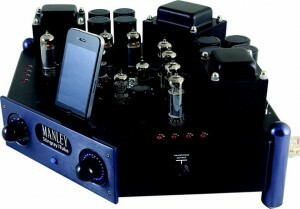 Visit manleylabs.com for more. There is nothing like being passonate about what you do … but more importantly there is nothing like believing in your own poeple and building locally in your own country ! Many more years of success for Manley Labs !